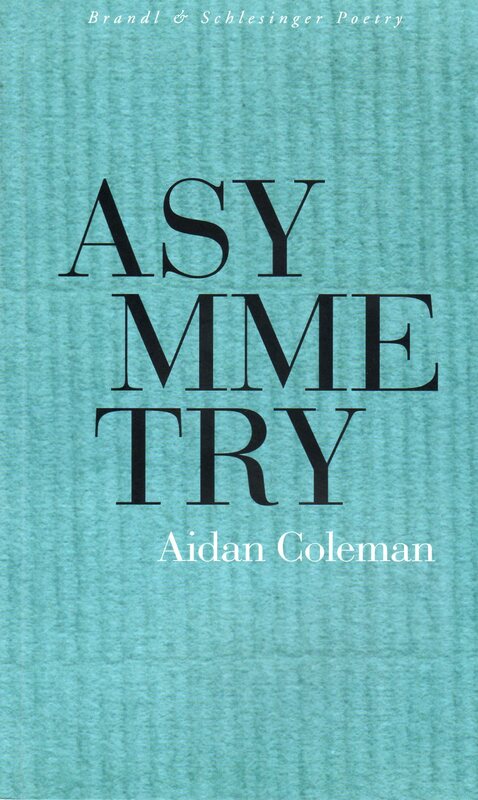 Following the Rhythm of the Journey: Heather Taylor Johnson reviews Asymmetry by Aidan Coleman. A thank-you comes from a distance. Finally, once words have found their meaning, and the page, Coleman gives us love poems. In a near-perfect ode to the life he feels thankful to still have, the second half of the book is a collection of poems for Leana, Coleman’s wife who travelled with him on the difficult journey. What I love most about Coleman’s writing is that each poem is rather short and the style somewhat simple. Not only does this work as an antidote to a heavy and very complex issue, but if feels as though the poems aren’t necessarily rounded off – as if there’s an inheirent inconclusiveness which can only be assuaged by the reading of the next poem, and the next poem, and the next, so that we follow the rhythm of the journey as Coleman did. The fact that he ends with love is a celebration. I adore this book. No pretension –just one small but miraculous word following the next. Heather Taylor Johnson is the author of two poetry books, Exit Wounds and Letters to my Lover from a Small Mountain Town. Her third collection will be out in February from IP. She has a PhD in Creative Writing and occasionally teaches it at Flinders University. Her first novel, Pursuing Love and Death (HarperCollins), will be out in August. This entry was posted in Aidan Coleman, Asymmetry, Brandl &Shlesinger, Issue 5 and tagged Avenues & Runways, Kenneth Slessor Award by Mark Roberts. Bookmark the permalink.